Have you ever looked in the sky and saw flashing lights of all colors or an odd shaped object? You may have just seen an Unidentified Flying Object, a UFO. The acronym was created by the United States Air Force (USAF) to serve as a catch-all for an object that doesn't appear to be a known and is the subject of a report. 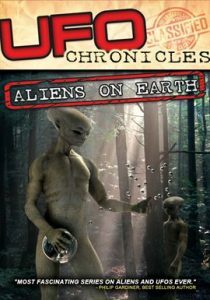 These titles from our digital collections can help you decide if aliens and UFOs exist. It is perhaps the eighth wonder of our world that despite modern mapping and satellite photography our planet continues to surprise us. Hidden lairs beneath layers of rock, forgotten cities rising out of deserted lands and even mankind's own feats of engineering eccentricity lie in the most unusual of destinations. Travis Elborough goes in search of the obscure and bizarre, the beautiful and estranged. Taking in the defiant relics of ancient cities such as Ani, a once thriving metropolis lost to conquered lands, and the church tower of San Juan Parangaricuto, that miraculously stands as the sole survivor of a town sunk by lava. Through the labyrinths of Berlin and Beijing - underground realms dug for refuge, espionage and even, as Canada's Moose Jaw, used as the playground for gangsters trading liquor and money over cards. Never forgetting the freaks and wonders of nature's own unusual masterpieces: the magical underground river shaped like a dragon's mouth in the Philippines and the floating world of Palmerston. With beautiful maps and stunning photography illustrating each destination, Atlas of Improbable Places is a fascinating voyage to the world's most incredible destinations. Along an expanse of land stretching across the southern borders of Utah, Colorado, and Kansas, Zukowski discovers multiple bizarre incidences of mutilations, and suddenly realizes that they cluster around the 37th Parallel or “UFO Highway.” So begins an extraordinary and fascinating journey from El Paso and Rush, Colorado, to a mysterious space studies company and MUFON, from Roswell and Area 51 to the Pentagon and beyond; to underground secret military caverns and Indian sacred sites; beneath strange, unexplained lights in the sky and into corporations that obstruct and try to take over investigations. Inspiring and terrifying, this true story will keep you up at night, staring at the sky, and wondering if we really are alone...and what could happen next. The UFO Files digs deep into the government's archives to unravel the true story of Canada's fascinating connection to the UFO phenomenon. 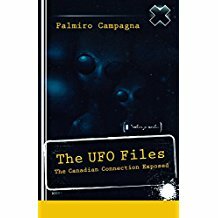 Weaving together eyewitness accounts and secret government files, including newly declassified documents, Palmiro Campagna relates some startling episodes in Canadian UFO history; ranging from the revelations made to Wilbert Smith, a Canadian Ministry of Transport engineer, and the unexplained case of Stefan Michalak, whose close encounter with a strange, burning hot craft left him physically scarred. 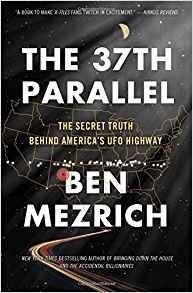 It also explores the United States' so-called "black" program, which may have originated with the Avrocar (also known as the Project Silver Bug), the United States Air Force flying saucer built in Canada. The Toronto Star noted that The UFO Files provides "a detailed and convincing portrait presented with an astonishing array of archival evidence and photographs." 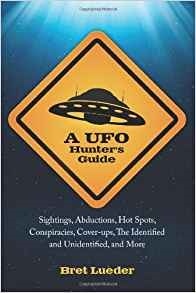 While George Filer, New Jersey State director of the Mutual UFO Network, said this book "is well worth reading and helps unravel the true story of UFOs in Canada." As Palmiro Campagna demonstrates, the truth is indeed out there. Lt. Colonel (USAF Ret.) Wendelle C. Stevens was one of the world's highly regarded UFO researchers who spent his life involved in ufology. Hear of his extraterrestrial experiences, the history of military programs and cases involving the recovery of Alien craft.